It wouldn’t be wrong to say a majority of people are trying to become a successful freelance web developer or designer. And why not? One gets an ocean of advantages while freelancing, the very first thing that comes to mind is one becomes his own boss. You don’t have to take permission for a day leave, or any other such common matter which a regular working guy faces more often. You get to work whenever you like however you like, sounds attractive right? Well, besides the number of benefits of working as a freelance web developer, there are some disadvantages as well, which doesn’t come to light at the beginning. 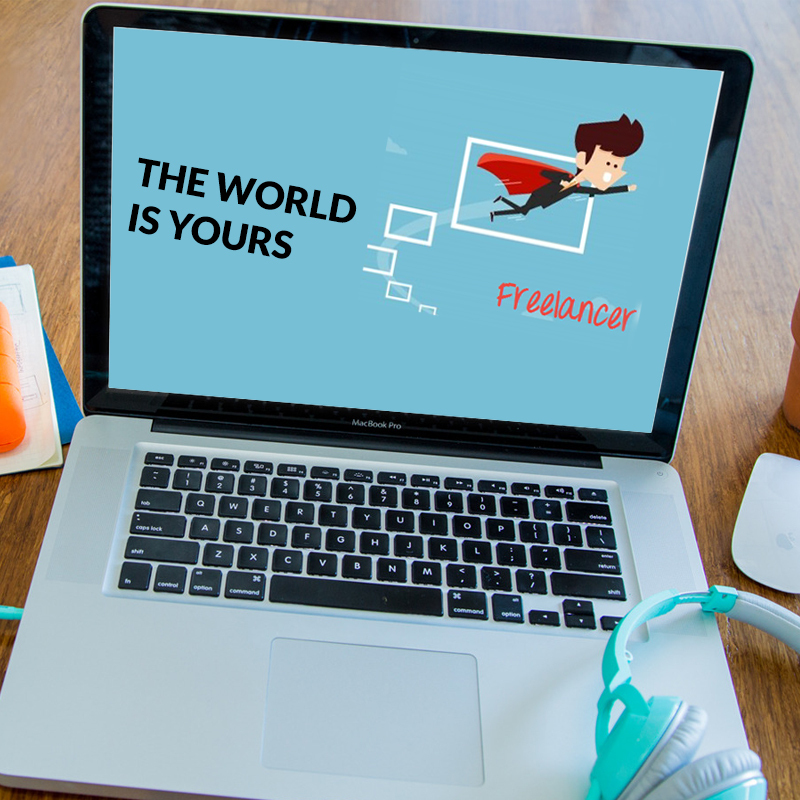 Yes, you don’t work under anyone being a freelancer but , the pressure of handling everything on your own is immense, you are not just a freelance web designer then , you become an accountant, administrator, quality analyst, in short all-in-one. Here’s 10 points you should keep in mind while working as a freelancer. 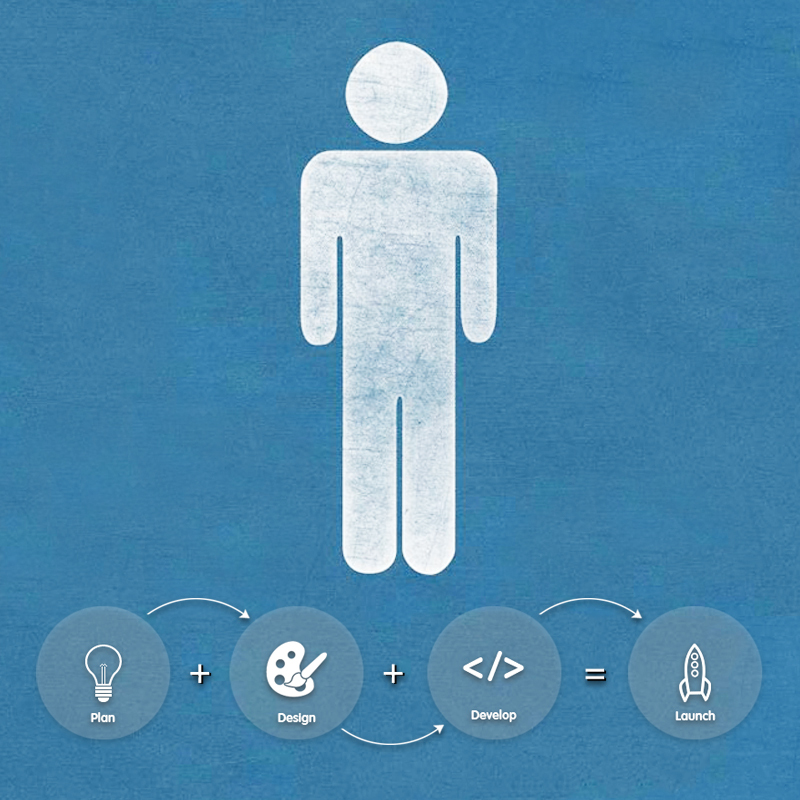 Beginning is an extraordinarily hard thing to accomplish for some web designers who don’t have any customers. The most imperative thing to recollect is that without customers, you don’t have a business. It’s very simple to become involved with things such as building a portfolio site, playing with invoicing instruments, and other semi-vital undertakings. So it’s most vital that you simply begin working with individuals and getting offers. It is recommended to concentrate in a specialty zone at the beginning as it is the most ideal approach to start constructing a freelancing business. For instance, if someone’s forte is WordPress or HTML, look for some kind of employment inside of those fields. It will help to master that particular field and make you a better freelance web developer. In case you’re a web designer, keep your focus in mastering the niche of designing at first. Responsive websites, shopping cart, Facebook or twitter platforms, and so on. Turning into a pioneer in a specialty implies that you’ll be in higher interest. Higher interest for your services implies that you can be choosier about your customers, charge more, and at last have a superior freelance web designer background. Everyone is looking for experienced person for their projects, do you ever imagine how a fresher is going to get experience until he works on something. There is a starting point of everything and so has the freelancing career as well. World is basically a show business, the one who can show a great performance wins the bid, so if you never had the opportunity to showcase your talent, start submitting projects at online websites like Github, the web developer community will know about you and if you are lucky enough you may land up your first project from here itself. Additionally, try to learn from other coder as well, cracking other’s code is considered an advantage too. If you are self-taught and lack the much needed polish, it’s better to attend a few classes or get an online certification before you start off as a freelance web developer. Clients are going to look how many years have you spent on learning codes and designing, but their interest lies in how good you are able to implement your knowledge and give your customers something unique and useful. So to establish your grounds as freelance developer start building your portfolio of work, help a friend, do a project without pay, remember even a small work count if it showcases your talent. As I have mentioned earlier, you may need to work for free if the project seems of great potential in building a solid profile for you. It’s not a 9 to 5 job where you get the much awaited paycheck at the end of the month. When you work as a freelance designer, you have to learn to be unstable at the beginning, you may not get paid in huge amounts or you may earn very little which may not meet your end. So be prepared for such inconsistent financial weather. But once you start holding a good grasp over the market you will start noticing a steady growth in terms of your financial condition. Being a freelance developer doesn’t only require you to be developing, but you need to be smart and improve selling skills. It’s basically you who will get projects and complete them, so you need to sell your service at first point. And to do that, bidding is very essential. Being a newbie in the market, start out with low bids, yeah, it may be depressing at first not getting the expected value of your time spend on every project, but remember it’s important to make yourself popular first after which you can easily charge the amount whatever you think fits right. So making a sacrifice at first will be fruitful in future. The initial months, which is likely to be two or three, consider it to be the internship period where you get paid low yet gain the useful experience. Once you secure a good reputation in various forums and amongst clients through your quality work, you are all set to raise your hourly rates and people looking for quality work is ever ready to pay. Well, if you have decided to take full-time freelancing as your career option,then you must understand that you are no longer under any popular brand name or banner.When one works for a company, he can proudly boast about the fact he works for a well-known companybut being a Freelance web developer, it’s all about you. You are the brand you are the name people will recognize. So start building your own brand. 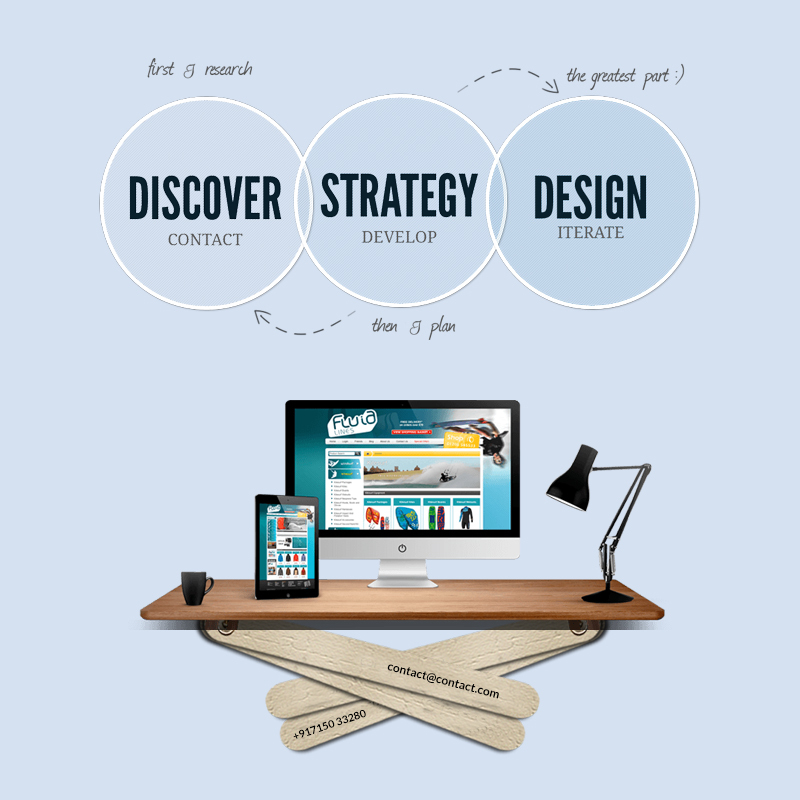 A visually appealing portfolio is what helps to gain extra points. First select an impactful name, make a logo, invest time in making a solid portfolio with all your work samples, contact details, and a little about your own self too. Be active on social network sites as they are considered to be the best place to socialize and get popular. As already mentioned, you have to be the one-man-army while freelancing, thus it is advised to be very organized or else you will end up losing crucial time. You’ve got to play different roles at different times, from negotiator to developer to tester to client support, you have to receive and send emails, pick up phone calls, and no matter how bad your mood is, reply in the most polite way to your clients, etc, and this sounds like heavy duty. And to accomplish the task without any flaws you need to be well organized. To become a successful freelance web developer, you need to be good at these things besides mastering programming and designing skills. Now that you have built your own portfolio and put up some work samples,it’s time to face the real world. Before you catch the big fish you need to feed them the small fish. Thus, try the numerous websites specially made for freelancers to look for web development or web design projects. Some of the well known websites preferred for freelancers are upwork,oDesk and Freelancer.com. 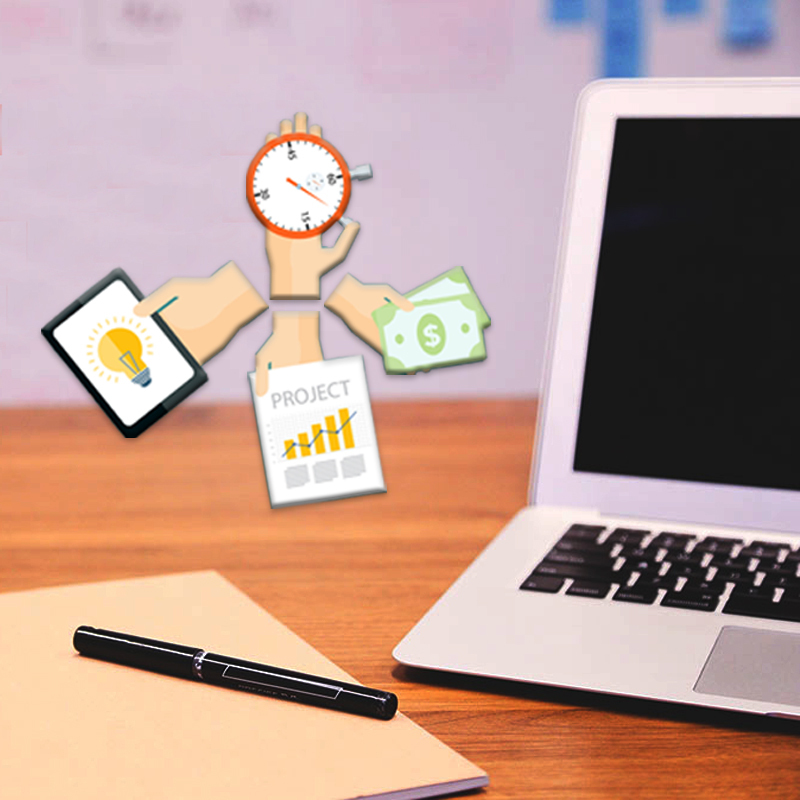 Start bidding on different projects and try online skill test while still doing your full time job. Remember client is everything, no matter how immature or less understanding client you are working with; chant the mantra-client is always right. It becomes hard often to make them understand the right perspective; here is where your charming personality will help to win them over. Your knowledge about web development and web designing may not always help you win over the argument, but presence of mind and words may do the job with ease. Do whatever your clients ask you to do, even if they demand impossible things, they may ask you that out of knowledge, so never use the word “no” directly, there are different ways to say no, learn that and you will see a good rapport building with your clients. There are people who look for quality rather than price, so if you are confident enough to deliver quality work, wait for the right turn and right customer who is willing to pay the right price. As you grow your experience as a freelance designer your value increases, so does your work rate. The market is crowded with dozens of freelancers working at low prices, thus quoting a price worth your time indicates your value and worth. If you don’t have a background in business, it may seem a little difficult to fix a price for your job at first, take suggestions from fellow freelancers or established people in this work area. Start with a fixed rate- $10-$20/hr. Fix a rate considering how much time you are investing, level of difficulty, and other important factors. Once you have secured a firm position, gradually increase your rate. When you have done a good job and your client is 100% satisfied, do not keep it between you and your client make sure the other visitors know about it too. Tell your clients to write a testimonial about how good a freelance web developer you are and their experience of working with you.